Morgan's father has three sons : Snap, Crackle and who? Did you say Pop? Try Morgan. 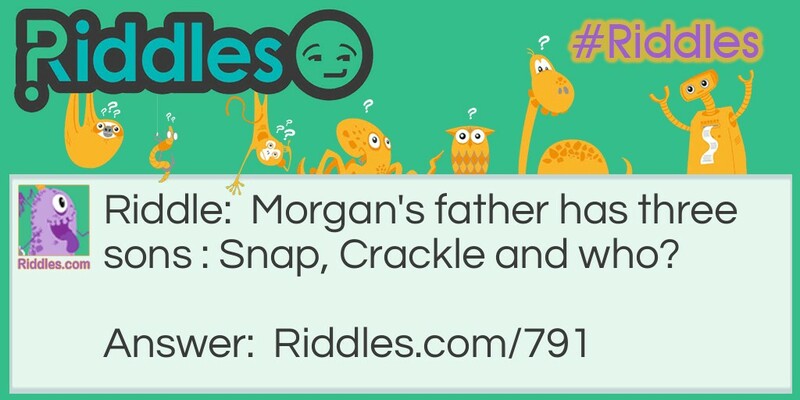 Morgan's Dad Riddle Meme with riddle and answer page link.